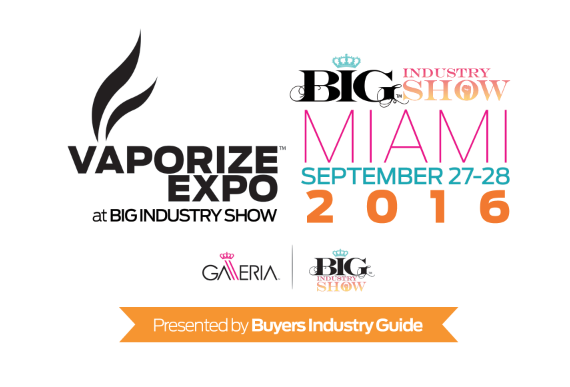 This B2B event is hosted by Buyers Industry Guide in conjunction with the BIG Industry Show- Vaporize Expo Miami 2016 is the premier B2B Wholesale event on the East Coast! This B2B event is hosted by Buyers Industry Guide in conjunction with the BIG Industry Show- Vaporize Expo Miami 2016 is the premier B2B Wholesale event on the East Coast! Two days of solid business, featuring the industry’s latest and most innovative products at wholesale prices!